Heat oil in a Pan. 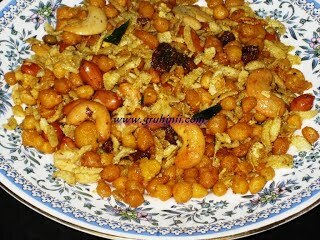 Deep fry cashews, raisins, groundnuts and curry leaves and drain on a absorbent paper. 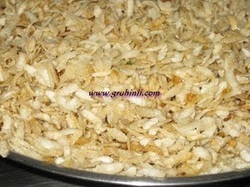 In the same oil deep fry Poha and drain on a absorbent paper. Now take another pan heat 1 tea spoon oil, add hing and saunf. When saunf starts spluttering switch off the flame. Now to it add all the fried and drained ingredients. 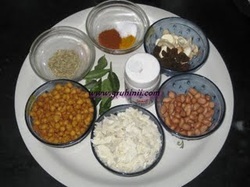 Add sugar, salt, red chilli powder, dhaniya powder and haldi. Mix well and let it cool. 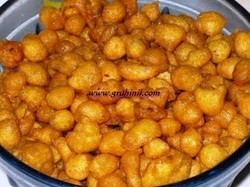 Store it in a air tight container. 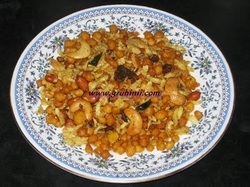 Poha chivda is ready. Enjoy with a hot cup of tea or coffee.